If you have a Fujitsu 7160 or you are planning on buying one you should start looking into some other options. 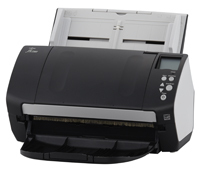 The 7160 is a scanner coming in with a street price around $880 with 60 pages per minute and up to 600dpi. It’s a nice scanner and works great, however if you are looking into buying one you should consider your options first. There are many scanners on the market right now they may be better for your office to include enhanced performance and lower cost. Some of the options that we suggest you look at in comparison to the 7160 are the Canon M160II and the Epson DS-860. 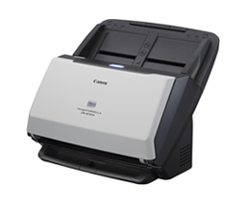 The Canon M160II is a great little scanner with speeds up to 60PPm just like the Fujitsu 7160. Pricing is around $55 less than the 7160 and for the month of June 2016 this little unit ships with an additional extended Manufacture warranty of 2 years free service through Canon. That is a total of three years of free scanner service. It also ships with Kofax VRS Elite Desktop and the free Elite Upgrade for all of you users with Kofax Capture Solutions. The VRS Elite Upgrade is a $650 software sold by Kofax that you can get with any purchase of the M160II through ScannerOne. The M160II has the same scan speed, resolution and it’s about the same size as the 7160. Along with all of this, you are able to purchase Canon M160II roller kits through ScannerOne for $53.00 plus shipping. If you need new roller kits for the Fujitsu 7160 you have to buy them MSRP or above MSRP as Fujitsu has limited the supply of these products and forcing direct purchases from Fujitsu. The M160II isn’t the only scanner you should give a look into if you are looking at or already have the Fujitsu 7160, you should also look into the Epson DS-860. This scanner is priced around $799 dollars, $81 dollars less than the Fujitsu 7160 and scans at 65 pages per minute which is faster than the 7160 without a loss of resolution or quality. The daily duty cycle for the Epson is also higher than the 7160. You can scan 2,000 more pages per day with the Epson DS-860 compared to the 7160. The Epson DS-860 roller kits come in at $49.99 while you still have to buy the 7160 roller kits at MSRP. 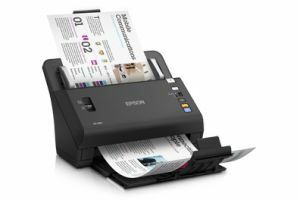 Not only is the Epson DS-860 a cost effective scanner it has been reviewed in the industry as a major player with placements surpassing HP and Canon. The Epson DS-860, 760, 560 and 520 scanners also have the option to be networkable for an additional $349.99 with the Epson Network Interface Unit which both the Canon M160II and the Fujitsu 7160 can’t do. For more information on any of these scanners call or email Scanner One, Inc. We are more than glad to assist you in your scanner needs.